After three months in Wangling Prison, Mr. Wang Yuelai's life was in danger. He was unable to lift his head or even talk. As his health deteriorated, the doctor issued three critical condition notices for him. Enraged by his persistence, the prison denied his parole request and ordered four guards and two inmates to monitor him around the clock. His condition continued to deteriorate until the doctor issued the third critical condition notice. On August 31, 2018, Mr. Wang passed away in prison. He was 56. Mr. Wang began practising Falun Gong in 2008. Prior to that, he led a lavish life and was addicted to drinking, smoking and gambling. He was diagnosed with stomach cancer in 2008 and suffered from consistent, gnawing pain. The desire to survive prompted him to try Falun Gong, an ancient Chinese mind-body spiritual discipline with meditative exercises, in the hopes that the practice could help him regain his health. Many people with similar situations as his have reported dramatic health improvement after they started practicing Falun Gong. Shortly after he started the Falun Gong exercises, Mr. Wang was excited to find his health indeed improving. The tumor in his stomach went away. He was much more calm and peaceful. His relationships with his family and neighbors also improved. He became a totally different person. With deep gratitude about how the practice had changed him, Mr. Wang was eager to share his story with others and help more people benefit as well, despite the ongoing persecution of the practice by the Chinese communist regime. On November 11, 2013, while distributing Falun Gong-related materials, Mr. Wang was arrested with three other practitioners. He was detained for several months before being released. Just a few months after his release, Mr. Wang was arrested again and taken to the Xiuhuayuan Brainwashing Center in April 2014. Because he refused to give up his faith after rounds of intensive brainwashing, the Yueyang County Court sentenced Mr. Wang to three years, with a five-year suspended sentence on October 24, 2014. He was then released and put on probation. In early 2017, Mr. Wang developed symptoms of stomach cancer again. He was unable to eat for more than a month and couldn't keep anything down. He continued doing the Falun Gong exercises and recovered two months later. While studying Falun Gong books with other practitioners, Mr. Wang was arrested for the third time on January 24, 2018. The police put him in criminal detention two days later. The Procuratorate approved his case on February 12 and submitted the case to the Yueyang Court on March 21, along with three other practitioners – Ms. Chen Quanxiu, Ms. He Genliang, and Ms. Zeng Guzhen. The court sentenced Mr. Wang to another three years on April 10 and fined him 5,000 yuan. The judge also revoked his five-year suspended sentence and combined the three years he'd been given in 2014. Because he had already been detained for six months between April and October 2014, his final term was set at five years and six months. Ms. Chen was sentenced to four years, and Ms. He to one year. 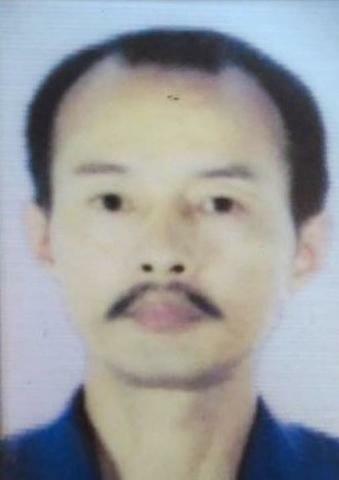 Mr. Wang was taken to Jin City Prison in Hunan Province on May 14 and then transferred to Wangling Prison one month later, where he tragically passed away after being denied medical parole. You are welcome to print and circulate all articles published on Clearharmony and their content, but please quote the source.